Naples, on the southwestern coast of Italy, is one of Italy’s vibrant urban centres. 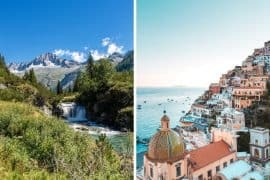 Known for Pompeii and pizza, Naples gets overlooked by many who travel to Italy, but it – and its neighbouring islands and regions – is well worth a visit. 3 days in Naples is plenty of time to see the major attractions, take a day trip to an island, and eat as much Neapolitan pizza as possible! Founded by the Greeks in the 2nd century BCE and now the third largest metropolitan area in Italy (after Rome and Milan), Naples has always been significant. It is one of the oldest continuously inhabited cities in the world, and has numerous sites that date back to both Greek and Roman times. 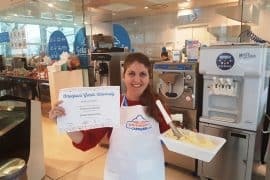 My three-day Naples itinerary covers the most popular sights as well as some of the lesser known spots. 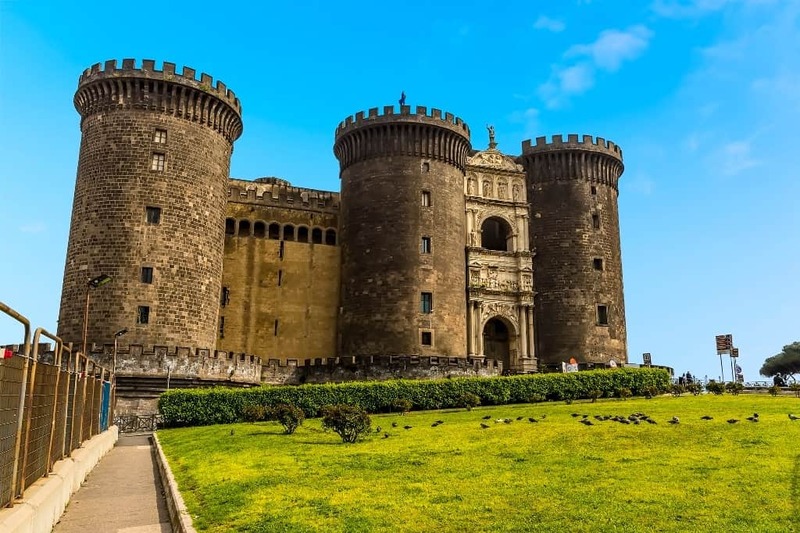 Begin your three-day Naples itinerary by exploring a tangible historical timeline of the city, from Castel Nuovo (13th century) and the Royal Palace (17th century) to the 20th century subway system. 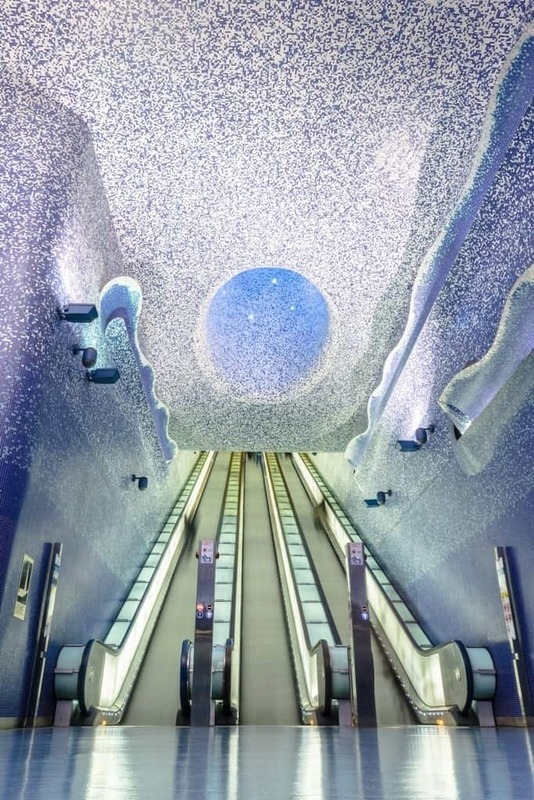 The Naples Metro lines 1 and 6 are what one might call open-air, underground art galleries. Featuring modern art, and all accessible for anyone travelling on the metro, each station is unique. There are over 180 different works of contemporary art across the two lines, and plans are in place to renovate several other stations into art stations. Some of the most popular stations include Garibaldi, Museo, and Toledo. San Gregorio Armeno, or Christmas Road, is a tiny street in Spaccanapoli where it’s Chrismas all year round. This is where to buy a crib, called a presepe, a nativity scene, which are so famous in Naples, or any other Christmas item to go along with your nativity scene. 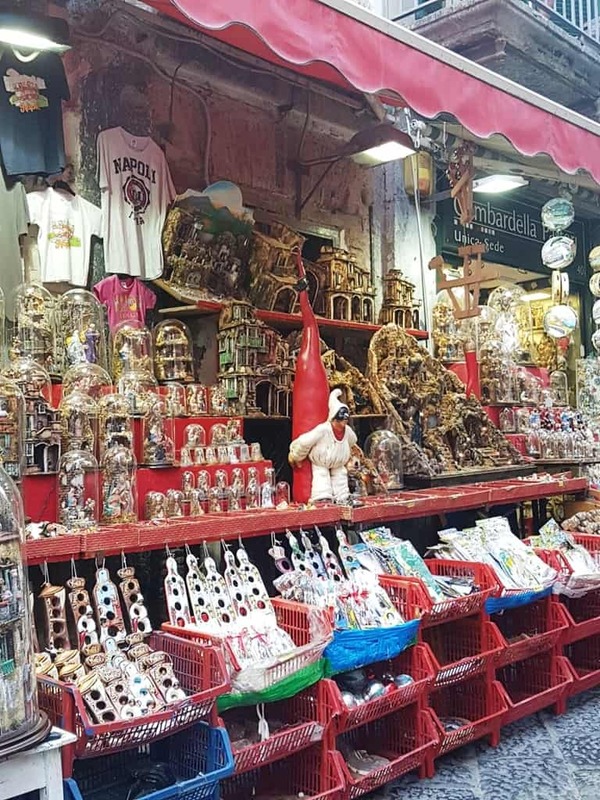 What is so cool about San Gregorio Armeno is that it’s not just the traditional nativity scenes, but any kind of scene you can think of … and some are rather creative. While exploring the old town, don’t miss this world famous spot. World War II bunkers, the cisterns, and a glimpse at the foundations of the city. These underground tunnels are exceptionally interesting and a highlight of any trip to Naples. Click here for more information and to book your tickets to the Naples Underground guided tour. 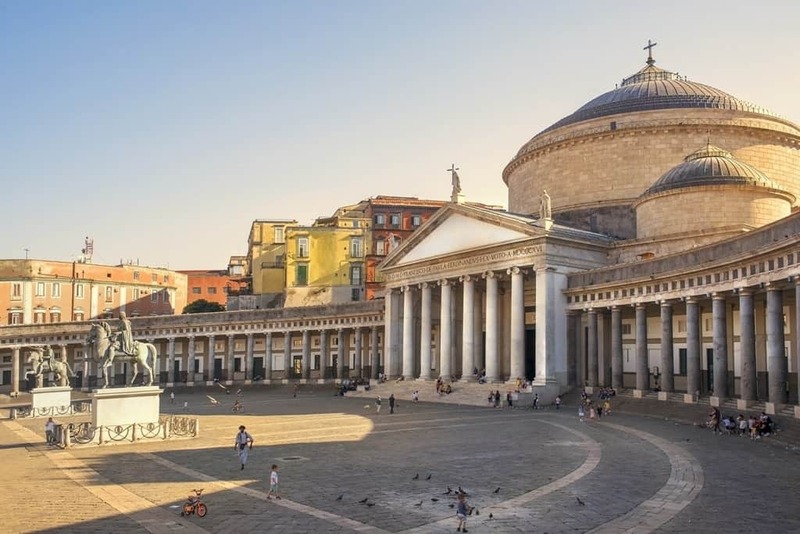 The Naples Cathedral is the most important Roman Catholic church in the southern part of Italy and features outstanding frescoes that date back to the 14th century. Visitors can also see Greco-Roman ruins as well as two paleo-Christian churches that date to the 4th century. Much of the modern church is Gothic, with later Renaissance and Baroque additions/modifications. It too was damaged by bombs during the war and has since been restored. Twice a year, the cathedral brings out a vial of Saint Januarius, or San Gennaro, patron saint of Naples. The blood usually liquifies, and if it doesn’t the legend says disaster will befall the city. 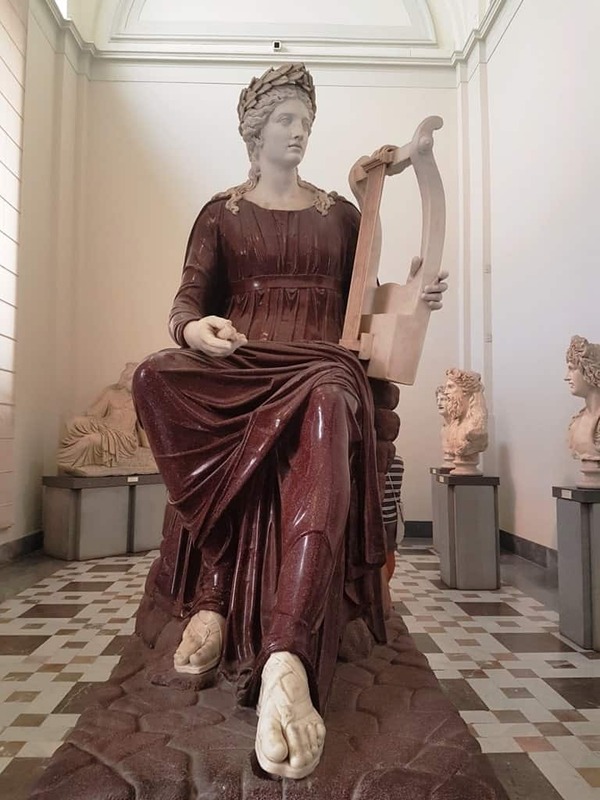 The National Archaeological Museum of Naples showcases the rich archaeological history of the southern Italian region. Located at Piazza Museo, the museum was opened in the late 18th century. 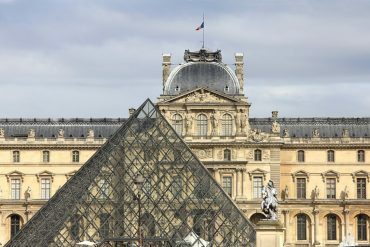 It has one of the most complete collections of Greek and Roman antiquities, including an impressive collection of Roman erotica from Pompeii. At the core of the antiquities collection is the Farnese Collection, an extensive array of engraved cups and bowls, sculptures, and the Farnese marbles, which were collected by the Medici brothers. Another important exhibition is the Herculaneum scripts, which are papyrus that were carbonised in the eruption of Pompeii and were found at the Villa of the Papyri in 1752. 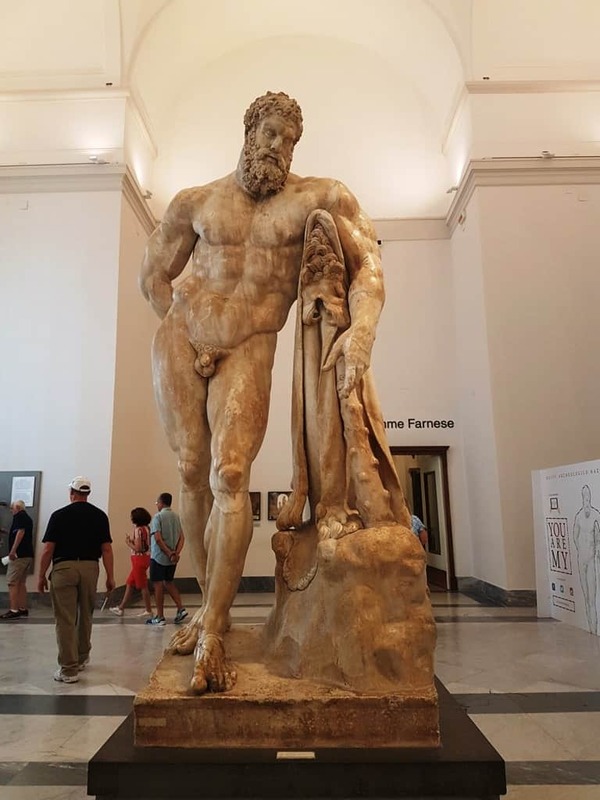 The Naples Archaeological Museum is open every day except Tuesday, and should be an early stop on your three-day Naples itinerary. Click here to book your museum ticket with an audio guide. Piazza del Gesù Nuovo is one of the main squares at the edge of the historical centre of Naples, created due to the expansion of the city in the 16th century. 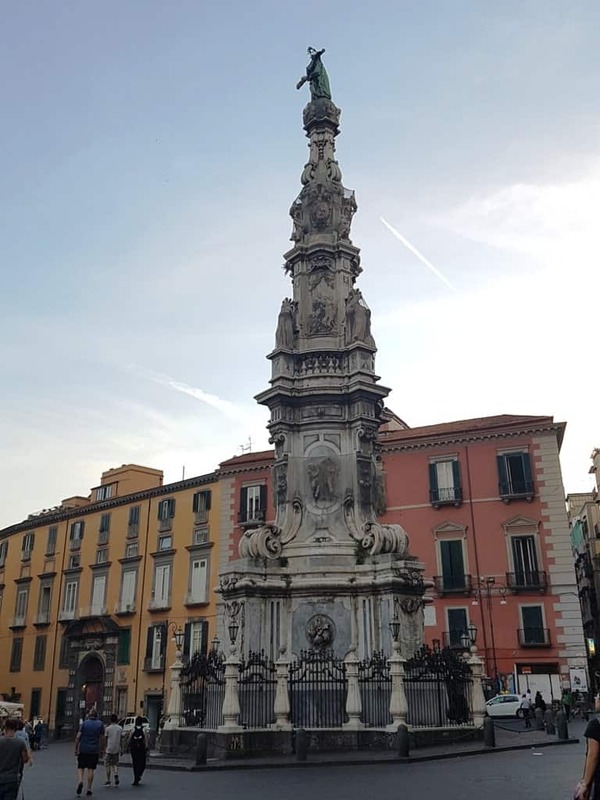 Some of the prominent landmarks in the square are the Church of Gesu Nuovo, which has incredible artwork, the gothic Church of Santa Chiara, and the spire of the Immaculate Virgin. 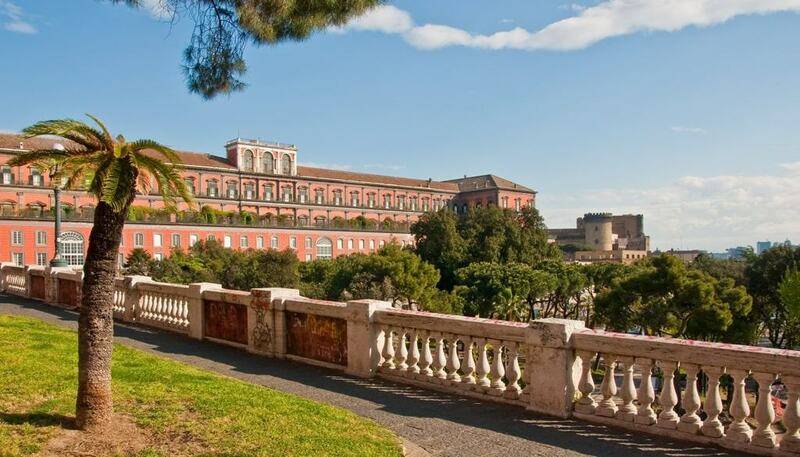 Castel Sant’Elmo is a medieval fortress on a high above Naples. Parts of the castle date back to the late 13th century, although it was expanded in the 14th-16th centuries. It was used mainly as a military outpost and was strategically placed for defense purposes. Today, it serves as a museum and exhibition hall as well as administrative offices. Piazza Bellini is one of Naples’ historic squares, near the university and the 4th-century Greek city walls. Named for an operatic composer, and with several cafes and libraries here, it’s an intellectual meeting place. 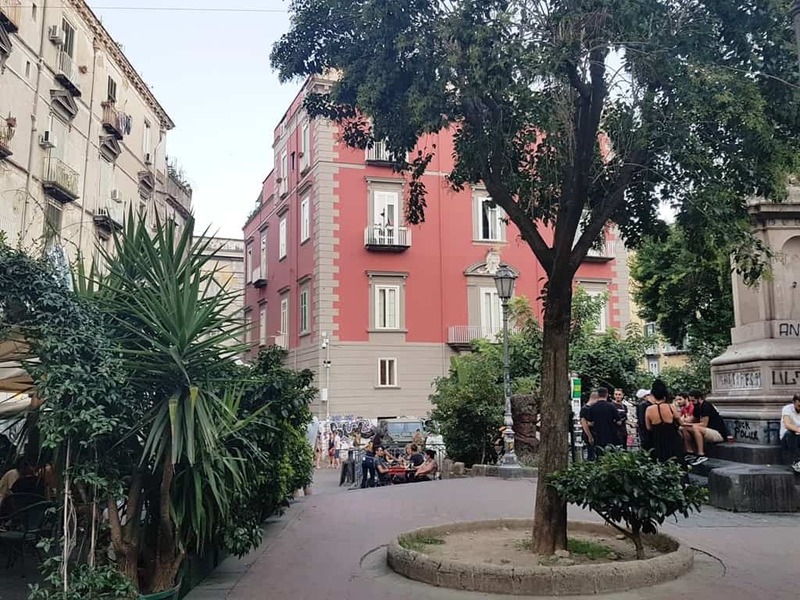 Piazza Bellini is buzzing with activity from morning until late in the night, when students and locals come out to relax, have a spritz, and enjoy the atmosphere. As one of Naples’ most popular bar hubs, you should definitely make time for an evening here at one of the pubs. 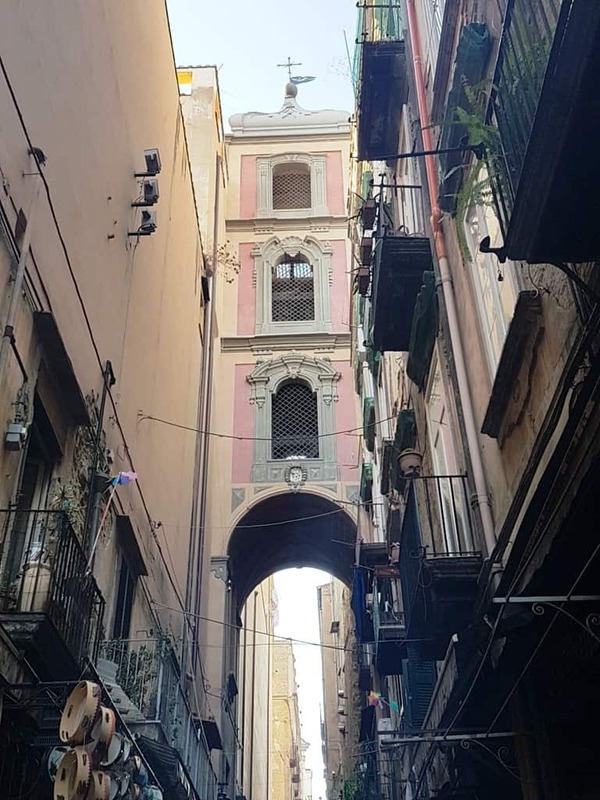 Spaccanapoli Road is the main street of Naples’ historical core, and is lined with numerous historically important buildings. 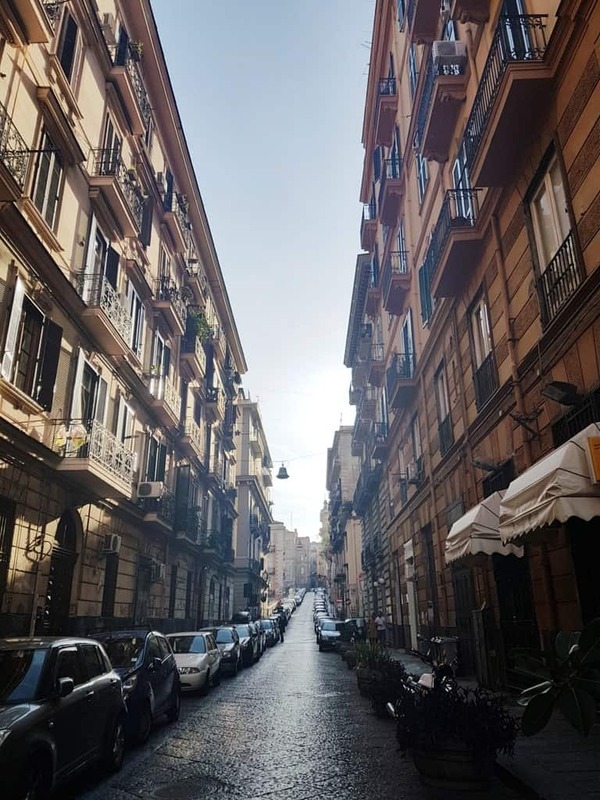 The street, which is very narrow, is actually the name given to several streets that continue through the city, breaking it into two halves (hence the name, which translates literally to “Naples Splitter”). 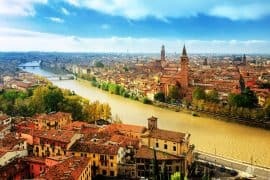 It is lined with churches, namely the Church of Gesu Nuovo and Santa Chiara, street vendors, bars, and shops. 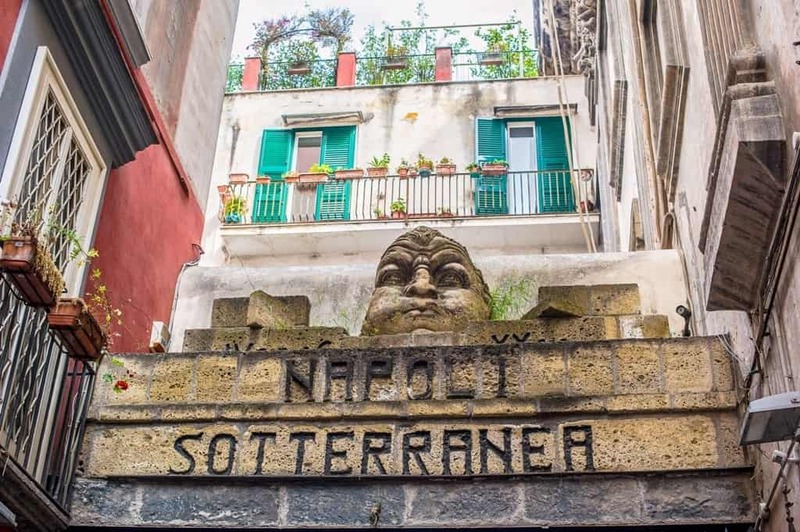 Always buzzing with locals as well as tourists, Spaccanapoli Road should definitely be on your three-day Naples itinerary. If you are after Neapolitan pizza, this is the place to find it, but don’t miss the gelato shops, pastry shops, or the limoncello vendors. Piazza del Plebiscito is a large public square in central Naples. It is surrounded by the Royal Palace of Naples, the Church of San Francisco di Paola, Palazzo Salerno, and the Prefecture Palace. The square also houses several statues and is a popular meeting place for tourists and locals. It is also used for concerts, notably Elton John, Bruce Springsteen, and Maroon 5. The Royal Palace of Naples, located in the heart of the city in Piazza del Plebiscito, is one of the the former residences of the Bourbon kings. Like many of the important Bourbon-era buildings in Naples, it was designed and built by the Spanish court. The Royal Palace of Naples dates to the early 17th century, and was initially intended to house King Philip III of Spain. In the mid 17th century, the palace was remodelled to house King Charles III of Spain, the first Bourbon king to reside here. Later, the palace was home to Marie Antoinette’s sister Maria Carolina, Queen of Naples from 1768 to 1806, and Napoleon Bonaparte’s sister Caroline, Queen from 1808-1815. Many of the rooms in the palace were either designed by or dedicated to the powerful Habsburg/Bourbon queens. Over the years the palace has been renovated and restored, especially following World War II, when it was heavily damaged by bombing. It now houses the National Library of Vittorio Emanuele III, the Teatro San Carlo, and various administrative offices. The palace is open for tours daily 9am – 8pm, except on Wednesdays when it is closed. Do not miss the opulent staircases, the impressive throne room, and the lavish royal apartments. Of course, the exterior is just as impressive; the facade of the palace is adorned with eight statues of Neapolitan rulers from the 12th to 19th centuries. Castel dell’Ovo, or Castle of the Egg, is the oldest fortification in Naples. Its seaside location is visible from most of the city. 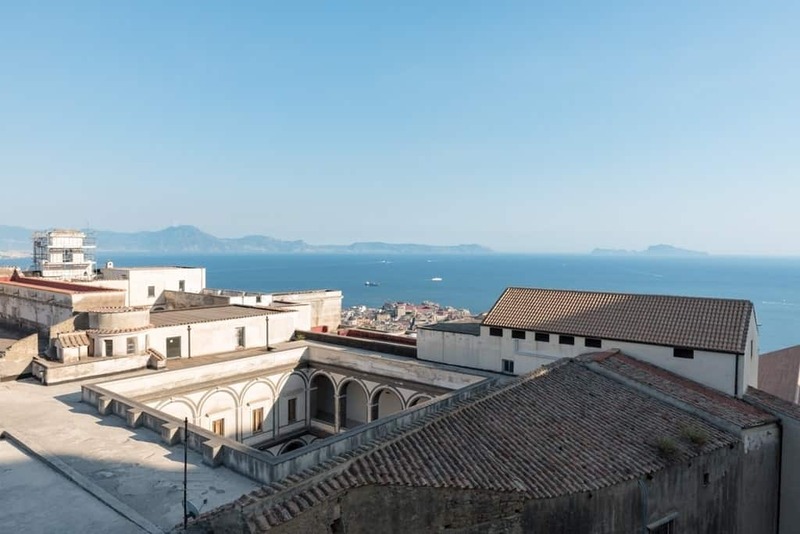 The castle is built on the foundations of a Roman villa, on a islet in the Napoli harbour. Called Megaride, this islet (now connected to the mainland by a causeway) is where legend says that the siren Parthenope came ashore after failing to lure Ulysses. The name of the castle comes from Virgil, a Roman poet. Legend says that Virgil put an enchanted egg in the foundations of the castle as protection. If the egg breaks, it spells disaster for the city and its citizens. Castel dell’Ovo was once a royal residence, but in later years used as a prison. In the 15th century, the fortress was heavily modified by the Aragons, and its current appearance dates from this era. Recent underwater archaeology discovered the original port of Naples as well as the original Greek settlement of Paleopolis. 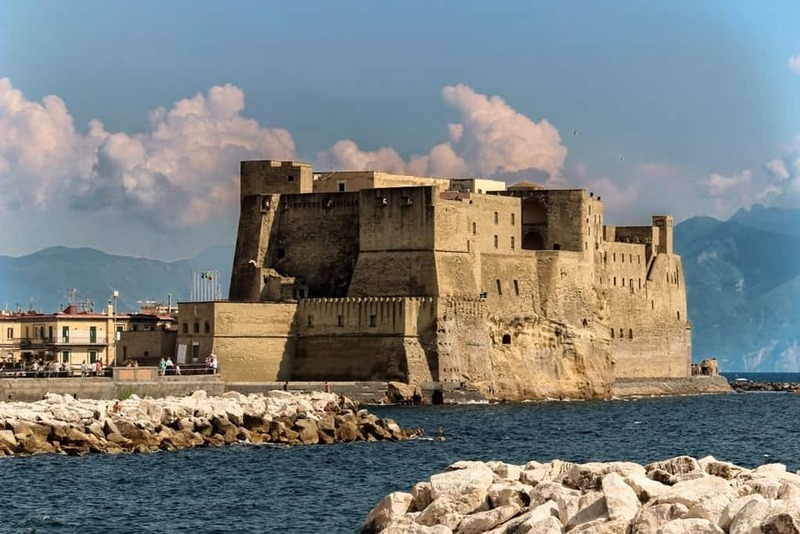 Castel Nuovo, or new castle, was so named to distinguish it from Castel dell’Ovo, which is only a few hundred years older than this fortress. It was modified from its original Franciscan convent by Charles I of Anjou, who ruled the Kingdom of Sicily in the 13th century. The fortress, which locals call the Maschio Angioino, or Angevin Keep, is still in use today. Visitors can see the triumphal arch, the Cappella Palatina, the Hall of Barons, and the Roman ruins under the Armoury Hall. the Cappella Palatina is the only remaining part of the original building; like the Castel dell’Ovo, Castel Nuovo was modified by the Aragons. The nobility acted as patron of the arts, and hosted many important artists; frescoes by Giotto adorn much of the interior. You cannot go to Naples without eating pizza, as its the birthplace of the world’s most recognisable food. 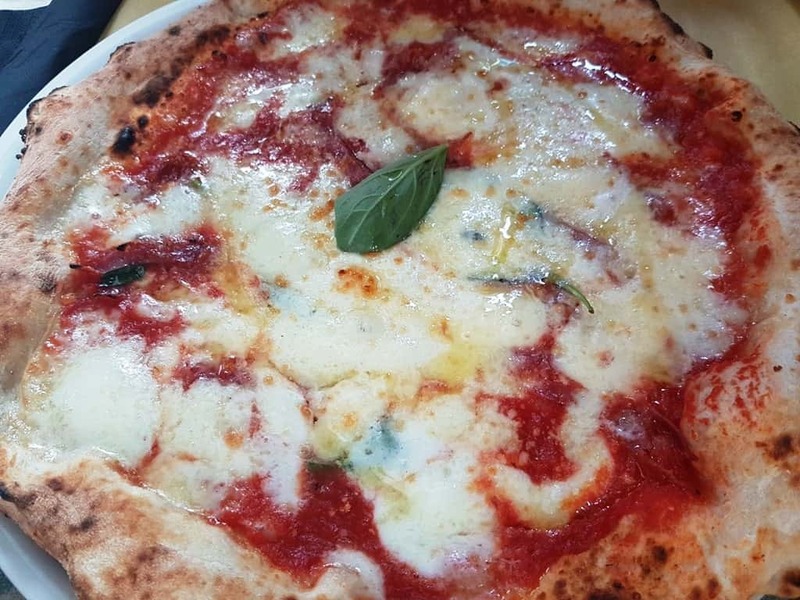 The best place to get a piece of Neapolitan pizza is in Spaccanapoli, the historic core of the city, where you can watch the pizza being made the traditional way. Personally, I didn’t think that was the best pizza of my life but it was delicious. For example, the pizza I had in Capri was equally delicious. 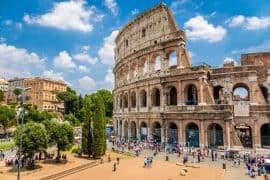 One your third day in Naples, spend the morning at Pompeii, one of the most well-preserved archaeological ruins in the world, and the afternoon in Sorrento. Pompeii is a vast archaeological site near Naples. 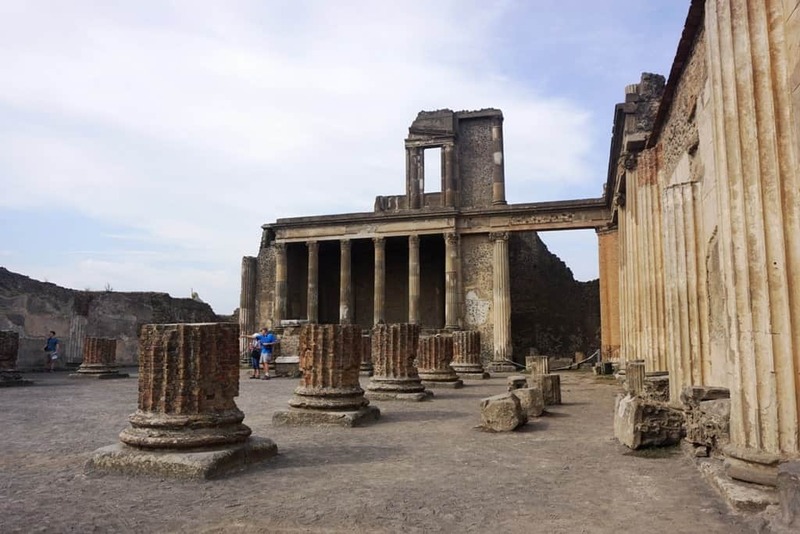 Located at the foot of Mount Vesuvius, Pompeii was buried, along with many of the residents, in 79 AD when the volcano erupted, spewing ash and pyroclastic flow over a widespread area. 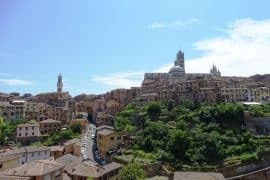 The city was founded in the 7th or 6th century BC, capture by the Etruscans and later the Greeks, before becoming a Roman colony in the 1st century BC. Because the entire city was buried in the ash, it’s remarkably well-preserved and gives a unique glimpse into 1st century life. Pompeii is the only ancient city whose ruins remain exactly as they were when founded or expanded, without any other later inhabited overlay. It was discovered in the 16th century and again in the 18th and is one of the premier visitor attractions in Southern Italy. Pompeii can be either a day trip from Naples, or a half day trip combined with another destination like Sorrento. There will be queues in Pompeii so booking in advance allows you to get in quickly and not waste your time otherwise be there as soon as the archaeological site opens. If you want just to skip the line and see the archaeological site on your own I suggest that you buy a fast track entrance ticket. If you would like to do a guided tour and also skip the lines I suggest this 2 hour skip the line guided tour. 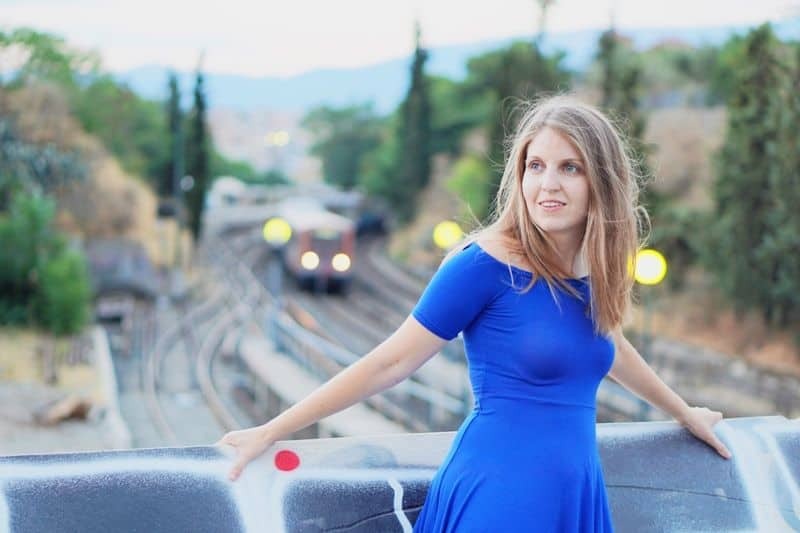 If you are looking for an organised skip the line guided tour starting from Naples I suggest this full day guided tour that combines a visit to the Pompeii ruins and the mount Vesuvious. No matter how you choose to visit the site, know that it is very busy especially through May to October. Bring a hat and a sunscreen, wear comfortable shoes and drink plenty of water. 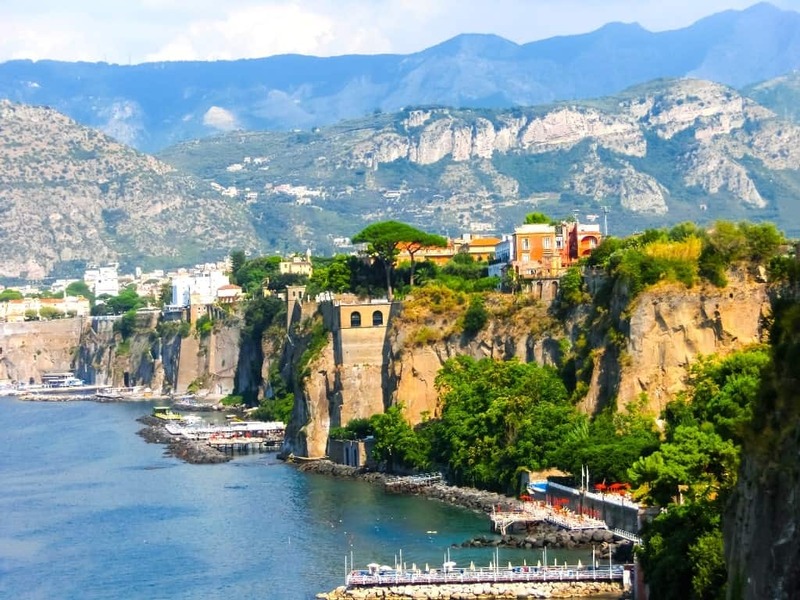 Sorrento is an Italian resort town, located very close to Naples and easily accessible for a day trip. It is also perfect for an addition to a half day at Pompeii, like we did on our three day itinerary to Naples, because of the proximity. As the gateway to the Amalfi Coast, Sorrento is a bustling small town with plenty of cafes, restaurants, and bars, as well as boutique shops and luxury hotels. Ferries from Sorrento go to both Capri and Ischia, two resort islands in the Bay of Naples. Sorrento is also known for limoncello, which is a must-taste while here. At some places, you can watch it being made. The Isle of Capri is well known for its resort vibe, luxury shops (think Rodeo Drive), and the Blue Grotto. Ferries run daily from Naples, Sorrento, Positano, Amalfi, or Ischia. There’s more to do on Capri than just eat, drink, and be merry; hike the circumference of the island (which very few people do) or rent a boat and circumnavigate the island. 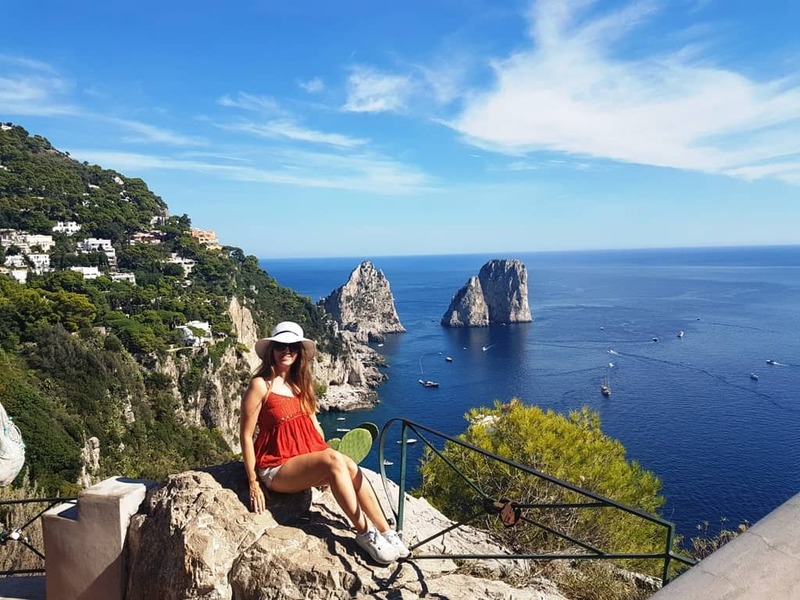 You might be interested in my post: The best things to do in Capri. To get to Capri is very easy. You can get a ferry from Naples port or even Sorrento if you are based there. The fast ferry takes 50 minutes to Capri from Naples and tickets cost around 21,50 euros one way. Alternatively, you can book a full day tour to Capri from Naples. Ischia, the largest island in the Bay of Naples, is not as famous as Capri. 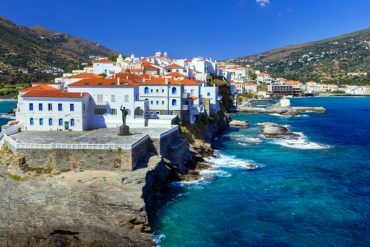 Its well known for its thermal pools, healing waters, and beaches, but visitors should also make time for the gardens and villas on the island, many of which are open to the public. Click here for more information and to book a day trip from Naples to Ischia. The mere words “Amalfi Coast” conjure up images of colourful towns barely hanging on to the sides of the cliff. 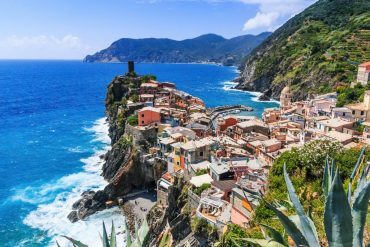 Surrounded on three sides by the sea and one side by the lush forests of southern Italy, the coastal towns of the Amalfi coast are worth seeing at least once. Click here for more information and to book a day trip from Naples to the Amalfi Coast. Alternatively, it is easy to do this day trip on your own as well. You just need to catch a train to Sorrento from Naples. There are about 3 trains per hour depending on the season and the journey is about an hour depending on the type of train. As soon as you exit the train station there is a kiosk where you can buy a bus ticket to either Positano or Amalfi. The buses are in front of the station and tickets cost 2-3 euros one way. 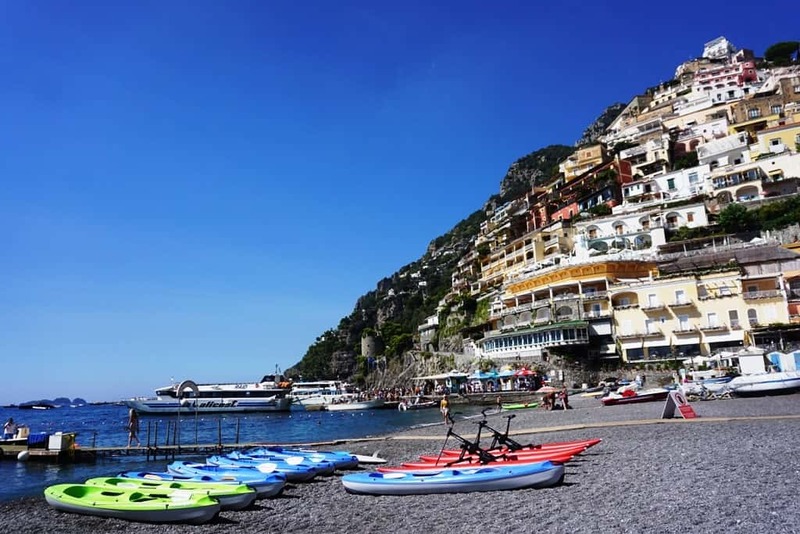 It takes around an hour to get to Positano by bus as the road is small and there is huge traffic especially during the summer and you need even more time to get to the Amalfi village because it is further away. Also, during the high season, the queues to take the bus are huge and you might have to ride standing. Also, the road is very curvy and a lot of people get sick. There is an alternative way to get to the villages, which is by ferry from Sorrento. You can get the ferry from the port. It is a 10- minute walk from the train station. From Sorrento to Amalfi it is one hour by ferry and the ticket was 16 euros in September that I visited. The ferry makes also a stop in Positano before arriving in Amalfi. There are many small boats connecting Positano with Amalfi and the other villages of the Amalfi Coast. Tickets can be bought at each port. 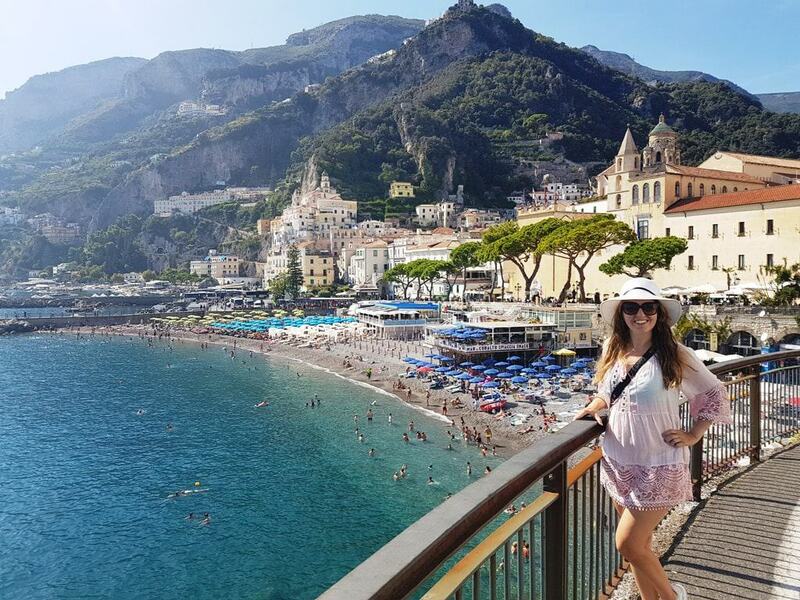 A 5 to 7 day Amalfi Coast itinerary. Herculaneum lies near Pompeii, another town devastated by the pyroclastic flow of the lava and ash in 79 AD. By all accounts, Herculaneum was wealthier than Pompeii, evidenced by the richer colours and finer houses. 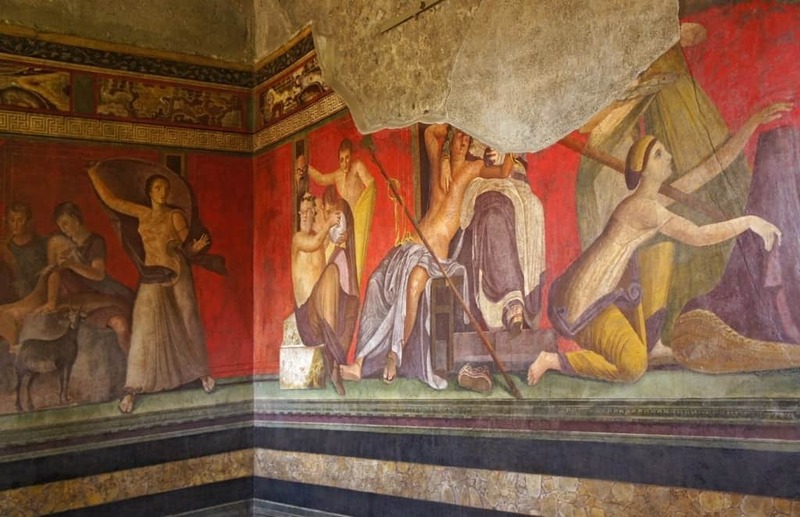 This can be done as an independent day trip from Naples or as an addition to a half day at Pompeii. Click here to book your skip the line tickets to the Herculaneum. This 4-star hotel, a member of the Marriott Group, is located centrally close to the main attractions of Naples and the ferry terminal. Rooms are comfortable and modern while the rooftop where breakfast is served has lovely views of the Bay, Castel Nuovo, and Mount Vesuvius. 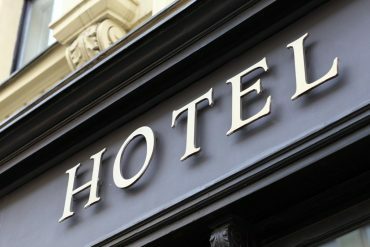 Located near the main station, this hotel is an excellent choice for those thinking about visiting Pompeii or the Amalfi Coast. It provides excellent 3-star value with comfortable rooms including Wi-Fi, satellite TV, air-con and safe. 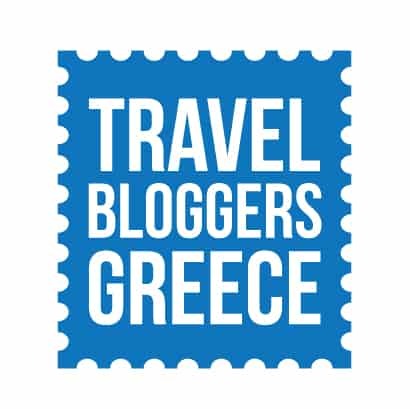 Click here for more information and to book the Grand Hotel Europa. 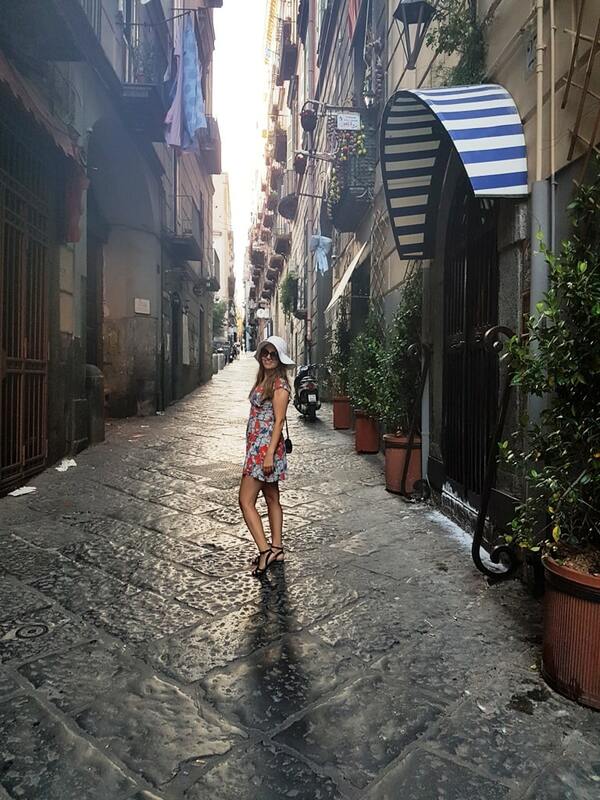 I absolutely loved exploring Naples! Naples, the pulsing heart of southern Italy, should definitely be in your list of places to visit while in Italy. 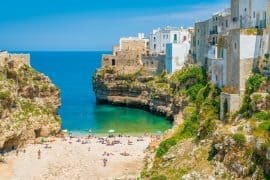 Plan to spend at least three days in Naples to cover the many attractions listed in my three-day Naples itinerary, along with Pompeii, Herculaneum, or Sorrento, or stay longer to explore some of the surrounding area like the Amalfi Coast, Isle of Ischia, or Isle of Capri. Ciao!